A view of one of the cakes at Mill Yard Cafe, You can see rest of ride photos when the webmaster last visited this cafe at this link. Mill Yard Cafe & Bistro in Morland Address: Mill Yard Cafe & Bistro, Morland, Penrith, Cumbria, CA10 3AZ Phone number: 01931-714155 Opening hours: Wednesday to Sunday from 9.30am to 4pm (Open Bank Holidays) Website: http://www.millyardcafe.co.uk. You can find more photos of the Mill Yard Cafe in the following photo galleries on the website: Click here to see full list of photo galleries. 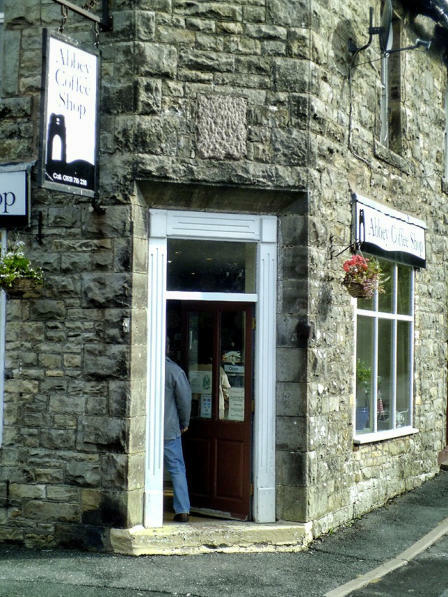 The following cycle routes stop at this cafe: Click here to see full list of cycle route You can view Google Map showing where you can find the Mill Yard Cafe in Morland at this link. You can find more photos of the Mill Yard Cafe in the following photo galleries on the website 24th September 2017 ride to Brougham Castle. 29th October 2017 ride to Appleby-in-Westmorland. The following cycle routes stop at this Mill Yard cafe A 28.6 mile ride to Brougham Castle. A 28.2 mile ride to Appleby-in-Westmorland.